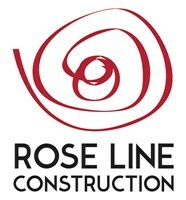 Rose Line Construction - Builder based in Teddington, Middlesex. Rose Line Construction Ltd is a construction company that undertakes most aspects of the build process. We pride ourselves on understanding our clients and working hand-in-hand with our partners to produce the best results. Rose Line has many years' experience in the building sector. Throughout the years we have gained enough experience to offer our clients service at its highest level, enabling them to be fully satisfied at all times. Rose Line Construction Ltd has a satisfied network of clients, situated in and around London, from private households to businesses. We are also proud to present our large network of highly skilled professionals representing – redefined quality. Our main areas of work are Kingston, Richmond, Surbiton, Twickenham, Teddington, New Malden, Hampton, Molesey, Sheen and Barnes.